The DX-SR8 is a base (desktop) HF transceiver with a detachable front panel. Maximum RF-output is 100 watts in SSB or CW. In AM it delivers 40 watts to your transmission line. A 10-digit keypad allows direct frequency entry, band selection and more. IF-Shift is provided along with RIT/TXIT, narrow-filter and noise-blanker to stay away from QRM. For CW operation an electronic keyer unit is standard. The 600 memory channels can be used with diferent scan modes (Priority, Search, Busy, Timed, Memory and Programmed search). A special Super-Low QRP setting is provided (0.1-2W variable). The Alinco DX-SR8 is sold as the DX-SR8E in Europe and as the DX-SR8T in North-America. The only difference between the E and T models is the extra 5.3 MHz band in the T-version. A receiver-only version also exists in the form of the Alinco DX-R8. I just worked JA7AXN on CW on 15 meters today. This is a really great radio for the price of just over $500. I highly recommenD it. It has all of the basic features the average Ham needs. I is only 9 pounds and small enough to fit almost anywhere. The selectivity is adequate and it is a simple radio to use. I was using it on eight alkaline "D" batters in series and worked several stations on 1 watt power out. This is my transceiver for emergency and portable use. The DX-SR8 is a quite capable radio in almost all respects. However, Alinco may have come short of a great radio by not including several features of convenience well known in others in this category - like DSP filters, VOX, built-in tuner, or adjustable DNR (the list could go on a while). The receiver is capable and has an att/preamp setting that is effective. The drawback to this is the excessive noise compared with other brands like Kenwood and Icom. Do not underestimate it's capability as a desktop / mobile unit. It is easily convertible and works well in either configuration. One distinct advantage the DX-SR8 has is the very large memory capacity of 600 stored frequencies/modes/settings. The memory groupings allows an operator to save favorite channels/modes according to usage and/or importance. For the price, it is well worth the low price. Estimating the value of a rig can be challenging. 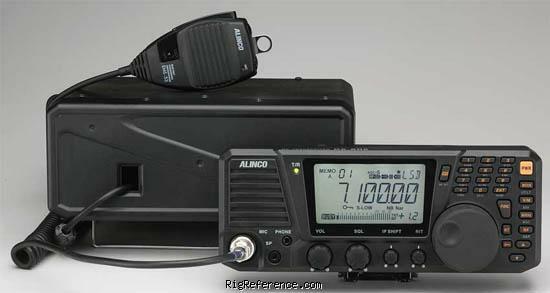 We collect prices paid by real hams over the years to help you estimate the current value of the Alinco DX-SR8. Just bought or sold this model? Let us know what you traded it for and help other ham operators!